If you are still scratching your head, wondering where to set off for your summer holiday and if you love sophisticated cultural events, exotic nature, thrilling adventures and vibrant parties then your answer is hidden right here - Australia. This country-continent is worldwide known for its vast areas of unspoiled countryside and its unique flora and fauna. But along with discovering the wildlife and the local customs a prospective tourist will be given a chance to enjoy endless colourful festivals and great number of cultural events. Ski season in Australia is quite an experience. Every year enthusiastic skiers and fans arrive there to take part in the number of winter events. It is worth bearing in mind that booking ahead of time is crucial, especially when it comes to the open winter destinations. The winter resorts and ski facilities are traditionally in perfect condition. Be warned though that because of strong winds and blizzards some of the ski lifts might not work at times. Thredbo (11 lifts),season kicks off on June 8th and closes on October 7th 2019, Perisher (41 lifts spinning), Mount Buller (17 lifts running), Mount Hotham (9 lifts), Selwyn Snowfields (2 lifts open), Falls Creek (11 lifts in operation) and Charlotte Pass (4 lifts turning). Ben Lomond and Mount Baw Baw (1 lifts). We advise that you check snow forecast to see if conditions are likely to change before your visit. Australia is a country well known for its hospitality. In Australia, one will find a wide variety of accommodations including hotels, inns, boutique hotels, resorts, and serviced apartment. 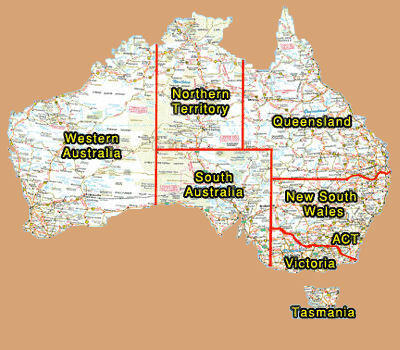 There are thousands of apartment hotels located across different states in Australia. It is cost effective for small group travelers that want to stay for a few days in a place. The apartment hotels contain multiple rooms, just like the residential apartments. It has a furnished kitchenette, dining room and living room. The apartment hotels can be serviced or non serviced. Non serviced apartment hotels are cheaper. Most of the hotels are equipped with swimming pools and gyms. Larger hotels usually have larger gyms that are equipped with all kinds of expensive exercise machines. The motels are smaller hotel that are used to accommodate travellers that have lower budget. The room of the motels is equipped with private showers, television and fridge. Most of the motels offer in room breakfast menus. Larger motels include an onsite restaurant where customers can dine at. 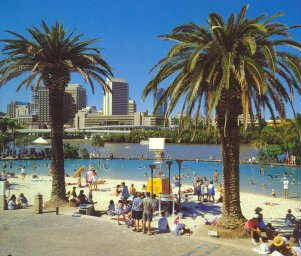 Many tourists come to Australia to get sunburn at the beach. If you want to bask under the sun, you can stay at the hotel that is located near the beach. Bondi is the most popular beach in Sydney, Australia. Coogee beach in Sydney offers a much better value. Hotels that are situated near the Coogee beach is cheaper because it is further away from the coast. If you are in New Zealand and looking to book flights to Australia, you can find great deals at cheap flights Australia page on House of Travel website. When to travel to Australia? The country is close to the equator. Climate is tropical in the northern Australia and moderate in the southern part of the country. Seasons come opposite to those in Europe. Summer lasts December through March, winter spans from June to August. If you find summer in the North too hot you might want to travel down to the South. Of course there are regions like Brisbane, the capital city of Queensland where the temperature is pleasantly moderate any time of the year. If you are still scratching your head, wondering where to set off for your summer holiday and if you love sophisticated cultural events, exotic nature, thrilling adventures and vibrant parties then your answer is hidden right here - Australia. This country -continent is worldwide known for its vast areas of unspoiled countryside and its unique flora and fauna. But along with discovering the wildlife and local customs a prospective tourist will enjoy endless colourful festivals and great number of cultural events. Situated in the most otherworldly landscape in central Queensland between the Whitsundays & Mackay, this magical event brings together brilliant musicians representing the most unconventional and diverse musical styles including Glitch Hop, Techno, Psytrance, Breaks, Livebands, Drum and Bass and much more. The surreal look of the area perfectly complements the music to be performed mostly based on electronic sounds dominating the event. The warm climate, the welcoming atmosphere, the wide range of performances make this festival live up to its name. For more details just visit our website: http://www.happydazefestival.com.au/ and hurry up to book your trip and spend a full weekend enjoying amazing sounds of live bands, percussion groups and exquisite dishes. The Karnak Playhouse is an amazing open-air amphitheater, next to the magnificent Daintree National Park. The park is actually an ancient rainforest, which is a great setting for various theatrical productions. Located amongst the rainforest, the incredible sounds of the jungle at night make a unique theatre atmosphere. Maybe the most popular show is "Lasers in the Jungle", where laser images, mixed with live performances, create an incredible visual spectacle. Visitors are taken on an impressive journey to the beginning of time, where ancient fauna and flora loom out, along with shapes and faces. The spectacle is modified and refined every year, so it includes various aspects of this area’s history. The mountain range The Blue Mountains boasts lots of tourist attractions: eucalypt woods, sand caves, rock formations such as The Three Sisters, The Jameson Valley and many more. For travelers to Australia the region is a must-see place. Not only does it offer a natural beauty and serenity helping one to shake off the stress of city life and its hustle but one can also explore famous and unusual rock formation as well as rare flora & fauna including gray kangaroos, koalas, dingo, red-necked wallabies, you name it. The Lookout Echo Point reveals views of the famous rock formation The Three Sisters, Featherdale Wildlife Park and Wentworth Falls, so it should be necessarily put on your itinerary. For the tourist attraction, Scenic World you'd better take a ride on Scenic Railway, the most impressive and steepest passenger railway in the world. It has served as many as 25 million tourists since its building. Or else you might prefer to enjoy the stunning views at the Katoomba Falls, the Three Sisters and the Jamison Valley while riding the cable car, Scenic Skyway. This way you will have a panoramic 360 degree vista, 270 metres above the earth surface. But that is not all. The Scenic Walkway is a 2.5km elevated boardwalk, along which the sights change every so often. Likewise changes the climate - within a single walk you might experience fog, rain, plenteous sunshine, all that under the accompaniment of gorgeous song-birds flying above. The event takes place once every two years. Lanterns are launched onto Wentworth Falls Lake to celebrate gratitude to nature's generosity. It is a BYO picnic with no litter left behind. Don't you fancy participating in the celebration by launching your eco lantern onto the water? This year's art exhibition at The Blue Mountains is aiming at encouraging, promoting and making popular art made by Lesbian, Gay, Bisexual, Transgender and Intersex (LGBTI) artists. The exhibition is going to be held at the Wentworth Falls School of Arts. Why don't you make up your mind to explore some of the oldest, now protected caves in the world? Their miraculous and strange formations will literally take your breath away. If you are a person of an adventurous disposition you might want to go on an unguided tour. In that case you only need to download the app for Jenolan. The app will navigate you along the tour including 6 tourist itineraries. Three of them are underground, the rest are above. The tours provide a view to the geological wonders of Carlotta Arch and The Cave House. On the Healing Waters tour you will find out more about aborigines Gundugurra, the way they occupied the caves and how they benefitted from the healing powers of the water there. You will also expand your knowledge about aboriginal rites and traditions. On the way to Jenolan is the Hartley Historic Village. It a must to visit the workshop of Ron Fitzpatrick - a renowned applied art artist. He creates his sculptures out of metal, mirrors, clocks, necklaces and the likes. The feel of other life, different world and otherworldly beauty called Australian Reefs is totally unique so it is quite worth experiencing it. The Great Barrier Reef is recognized as one of the 7 natural wonders of the world, enjoying more than two million tourists every year. It's the largest marine park on the planet. Being a home to as many as 400 sorts of corals, 1500 fishes and 4000 mollusks etc. it is under UNESCO's protection. 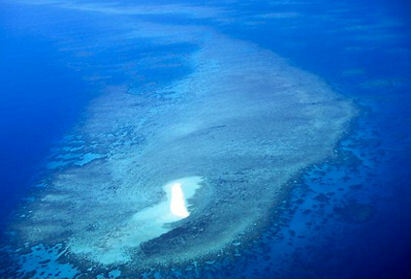 There are 20 reefs around Cairns alone. They are very close to the beach which makes them an irresistible temptation for scuba divers. The experience is outstanding and memorable. 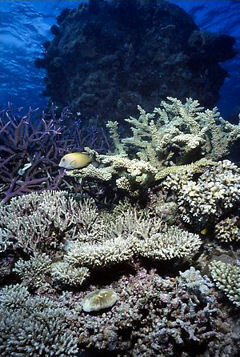 The most popular reefs are Hastings reef, Saxon reef, Norman reef. One can enjoy an enormous diversity of sea species such as corrals, fishes, octopi, huge oysters, eels, white sharks and green sea turtles. 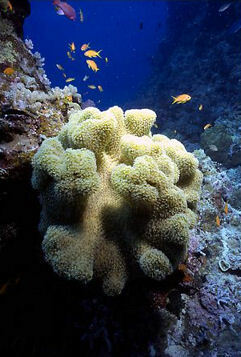 There are many islands with coral reefs scattered around Cairns. Being deserted and wild, having long beaches, reefs and tropical forests it won't be exaggeration to say that The Frankland Islands are touched by divinity. It is exactly there, on the same beaches, where the green sea turtles get together to mate and in February through March the offspring gets hatched out. If you are in luck you can witness it . Michaelmas Cay is inhabited by 27 thousand sea birds. The Cay is perfect for snorkelers and inexperienced divers. The best way to reach the reef is on a motor catamaran. Such vehicles are offered in Cairns, Port Douglas, Townsville, Mission Beach, Whitsunday Island. The catamarans can transport as many as 300 people and are quite convenient. Each vehicle has its own pontoon and believe it or not but some of the boats are designed with a special glass bottom which provides continuous viewing for the passengers who won't dare to dive in the water. It would be smart of you if prior to your visit you take a while to find out more of the natural beauty and uniqueness of the Great Barrier Reef. You can easily do it by visiting either some of the educational centres called Reef Teach or the show Great Barrier Reef Aquarium in Townsville. There is a living coral reef in the aquarium. Ayres Rock or locally known as Uluru is a sacred place to the Aboriginal people of the area. This rock formation is the largest in the world and most recognizable landmark in Australia. Believe it or not but it changes its colours: from blackish violet at sunrise through deep red and crimson at dusk to end up as a mysterious dark shadow at night. The ancient monolith stands 350m high and has a total circumference of 9.4 km. Being hollow inside the boulder is believed to have an energy source in its depth. The local Aboriginal population calls it Tjukurpa ( Dreamtime ). There is a belief that if one takes a pebble or even a small chip of the rock they should face a great misfortune further on. That's why, to be on the safe side, the tourists who have bought souvenirs from Uluru send them back home by post. You may also want to see the shamans from the Western Desert who summon all the tribes at an exact time and perform certain dancing rituals in order to ask the evil spirits to spare their peoples troubles and disease. During your trip in the region you shouldn't miss to explore the rock drawings, some of which older than 10 000 years, in the caves around. Uluru (the stone that casts a shadow) is as old as 600 million years. It is both a mysterious and stunningly beautiful place. It is far from the regular tourist routes situated in the centre of the country in an uninhabited region. The best time of the year to visit is April, May and September. Are you taking a vacation soon but you're not sure where to go? Be sure to check out all theese vacation ideas and enjoy your travel experience! Planning a trip to Australia? Find affordable Car Hire services from Car Hire Rentals and cheap flight deals. In addition to the travel guide and hotel accommodation in Australia, we also offer excellent car rental services - one of the best ways to enjoy the beautiful landscapes of the Australian continent and Aussie resorts! Insure your holiday trip to Australia with our Australia Travel Insurance - insurance from the established World Nomads company for cheap insurance policies in Australia! For conference accommodation while on trip browse Holiday Inn Meeting Rooms - quality accommodation for your business trips. Get in toutch with us via our contact form if you would be interested in advertising on https://www.australia-trips.info. We are open to any suggestions and willing to partner with other sites within the industry. Use the same for travelling advices or information about your trip we might be able to help with!